It’s finally beginning to look like spring. This is generally a great feeling, but it is also a time when business and homeowners are looking at the toll that the long, hard winter has taken on their lawns. 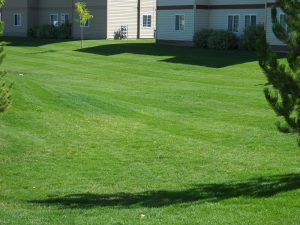 Spring is a time of recovery, and at New Leaf Landscape Design and Maintenance, we are are here to help expedite that recovery through our Idaho Falls lawn care services. Idaho Falls aeration is one of the most important things that can be done for your lawn. Our winters leave lawns covered in a thick layer of compacted grass, roots, dirt, and other debris. This layer is typically called “thatch”, and our aeration services will ensure that this thatch is properly broken up so that your lawn can breathe, soak up the sun, and come back to life more quickly. We will relieve the soil compaction of your lawn, which is another thing that results from long winters in which there is heavy build up of snow and ice. Our aeration services help decompress your lawn’s soil, allowing it to attain more water, oxygen, and nutrients for a better recovery in the spring. Our process involves puncturing your lawn’s soil with spikes. By perforating your lawn, we make it easier for water, air, and nutrients to move through the soil and feed your grass, trees, and other plant life. This process will give your lawn a huge head start, making it both beautiful and healthy throughout the spring and summer months. Aeration will enhance your lawn’s health. Not only is it good for your grass, it also enhances the health of your flowers, trees, and other plants. The more nutrients that flow through your lawn, the more it will flourish. Aeration will make your lawn more resistant to disease. A healthy yard is a strong yard, and will be both resilient and beautiful in the long term. Aeration will enhance your lawn’s appearance. 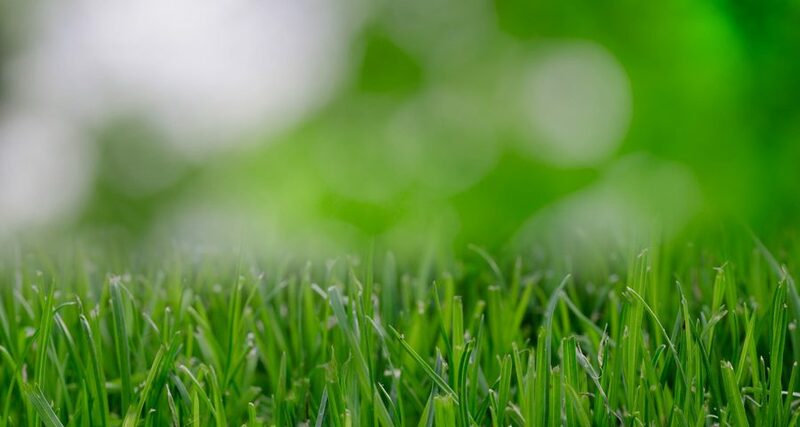 Not only is this good for homeowners, where having a healthy lawn makes their property feel more cozy and relaxing, it is also great for business owners, as a beautiful lawn gives potential customers the impression that your business is thriving and successful. Aeration will save you time and energy. Whether you are busy at home or at work, our Idaho Falls aeration services will ensure that your yard gets the head start it needs to save you time and energy throughout the summer. When your yard is flourishing naturally, you will spend less time trying to keep it maintained and more time enjoying it. Our Idaho Falls power raking will break up all of the dead grass, roots, and debris on your lawn. Thatch can be incredibly thick and deep. You might even be surprised to see just how much we can rake up in a single visit. If thatch is left sitting on your lawn throughout the spring, it will result in your lawn being less able to thrive in hot weather. It can choke out the life of your grass, bushes, and flowers. Not only that, but thatch provides a great home for bugs, spiders, mice, and other pests. Eventually, these critters can make their way into your home, which is something nobody wants. Thatch is also a great insulator for humidity, which can eventually result in fungal or bacterial diseases. When it comes to Idaho Falls power raking, we are the experts you can rely on. We will make sure your lawn is completely cleaned up and prepared before we begin. Our powerrakers will break up and extract all of the excess thatch on your lawn, which will be bagged up and removed from your property. A lot of damage can occur to sprinklers throughout the winter. It is a common problem, and can be a major inconvenience for homeowners and business owners during the spring. Fortunately, you can leave all of the hard work to us. Our Idaho Falls sprinkler repair will get your sprinkler system up and running efficiently again. Sprinkler damage often occurs because people neglect to winterize their sprinklers in the fall. This is a time when sprinklers and automatic controls should be entirely shut off, and pipes completely drained of water. Failing to do this will result in water freezing throughout your sprinkler systems, resulting in damage. It can be extremely difficult to diagnose exactly what kind of damage has occurred, or where it occurred. Considering that sprinkler systems consist of a series of underground pipes, most people simply don’t know where to start. 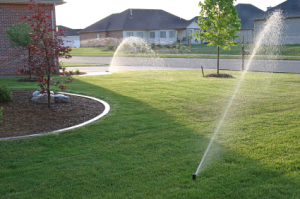 Our Idaho Falls sprinkler repair services will take care of this, as well as all of the necessary repairs. Over the years, we’ve seen it all. Sometimes problems are a simple fix. Other times, they are an intensely involved process. We’ve seen everything from simple broken sprinkler heads to exploded pipes. 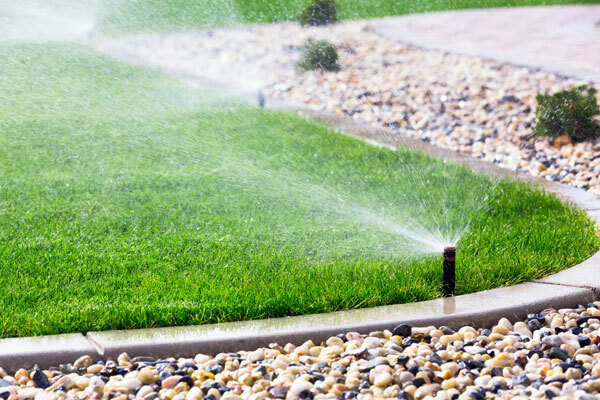 No matter what issue you might be facing, our Idaho Falls sprinkler repair services will take care of it. Why Choose New Leaf Landscape Design & Maintenance? We are dedicated to making your property feel more like a home, and we have all of the right technicians and equipment to achieve that goal. 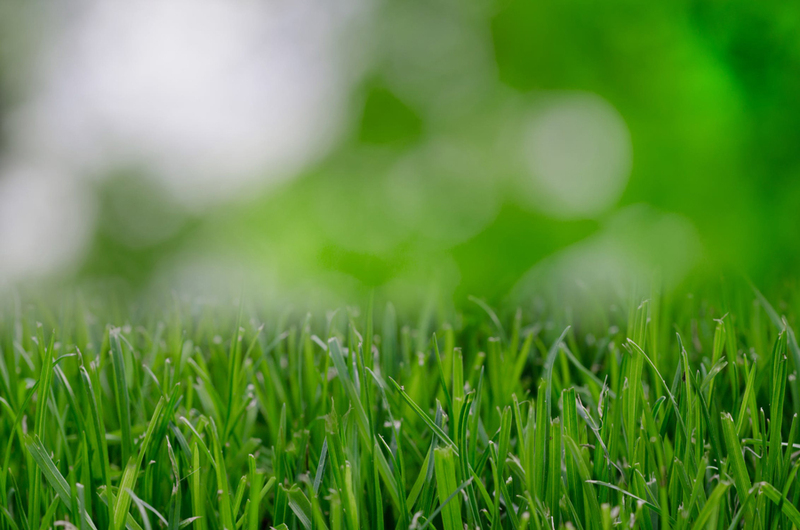 We understand just how important it is to have to healthy, beautiful lawn for homeowners and business owners alike. When you choose New Leaf, you will get friendly and professional service that will benefit you in both the short and long-term.